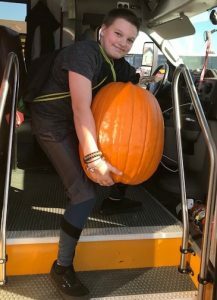 The winner of the Great Pumpkin Contest was Jaxson who guessed this pumpkin’s weight within one pound! He told us he’d have no problem taking the big guy home with him on the bus! !